This week’s round-up of regional business news includes Karly Bradford’s new online gift boutique Gift Farm, Peterborough native Kerrie Hansler’s Sweet Reads Box monthly subscription box for book lovers, the opening of Lakefield Bakery On Queen, and George Anagnostou’s The Original FAT Greek strEATery food truck in Ennismore. Also featured this week is Peterborough resident Koel M. Upadhyay’s new children’s book about peanut allergies, a donation of $22,000 to The Canadian Canoe Museum by Golfing Gals Who Give, the visit of federal science, innovation, and economic development minister Navdeep Bains to Trent University, and the Peterborough Chamber of Commerce’s survey for top business questions for municipal election candidates. 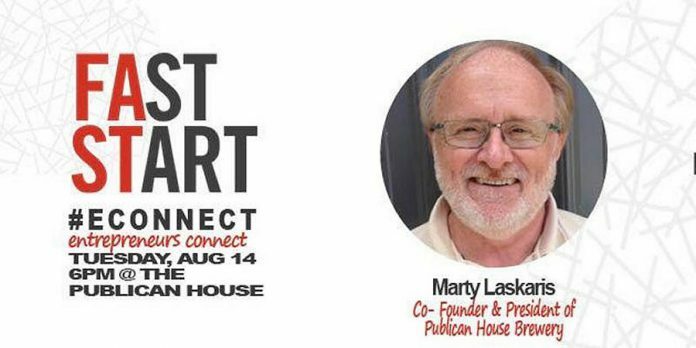 Regional business events added this week include the Northumberland Central Chamber of Commerce Meet & Greet at Friendly Fires in Cobourg and the E-Connect Summer Social at Publican House Brewery in Peterborough, both on August 14th. 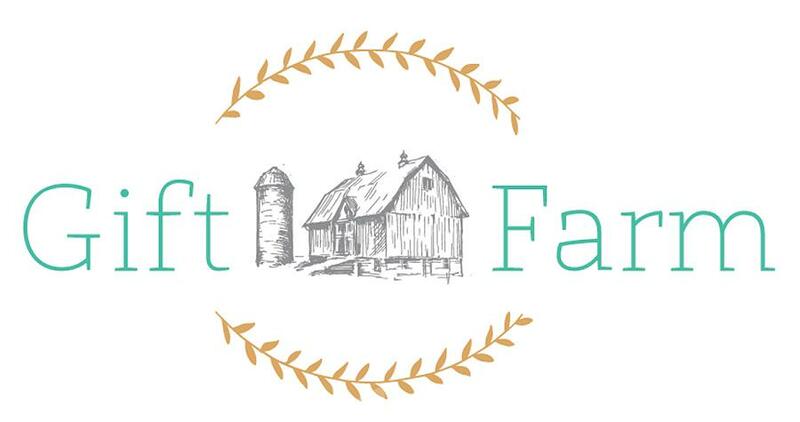 Karly Bradford held a soft launch for her new business, Gift Farm, on Saturday (July 28) with a pop-up shop at Rolling Grape Vineyard in Baileboro. 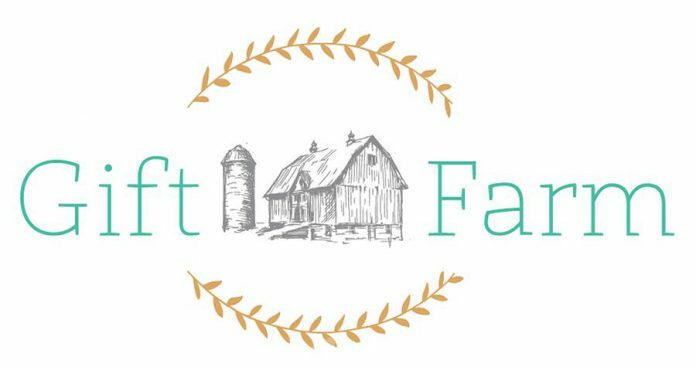 Gift Farm is a curated online boutique born out of Bradford’s frustration when shopping online for unique gifts. “After investing a lot of time searching for the perfect gift, I’d discover at check-out most companies don’t even ship to Canada, or customs and shipping charges would be a deal-breaker,” she says. For Peterborough and Kawaratha-area residents, free pick-up is available through Bradford’s vendor partner, Baked4U at 1837 Lansdowne Street in Peterborough. Free shipping is available on orders $79 or over. As an interesting side note, Bradford is the daughter of successful local entrepreneur Leslie Scott, owner of Walton Wood Farm in Baileboro. For more information, visit giftfarm.ca. Monthly subscription boxes are a thing — from clothing to cosmetics to men’s razors to food to pet toys and treats and more, you can find a subscription for almost anything. But when it comes to books, Kerrie Hansler — a Peterborough native and local teacher — noticed a gap in the marketplace. 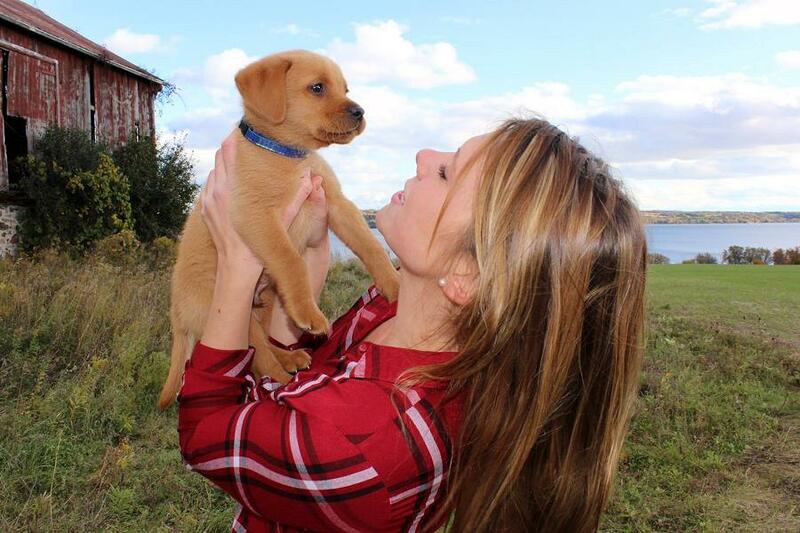 So, as an avid lifelong reader, she decided to start her own book subscription box service. Hansler launched Sweet Reads Box with her partner Mark McLean in July 2017 and shipped the first box last September. Since then, each monthly box has been selling out. Hansler and McLean carefully curate everything in each monthly box, including the book, a sweet treat, a drink, and items related to the book to enhance the reader experience. The pair read all the books that are included in the boxes, and they also curate and select the other items included in the box. 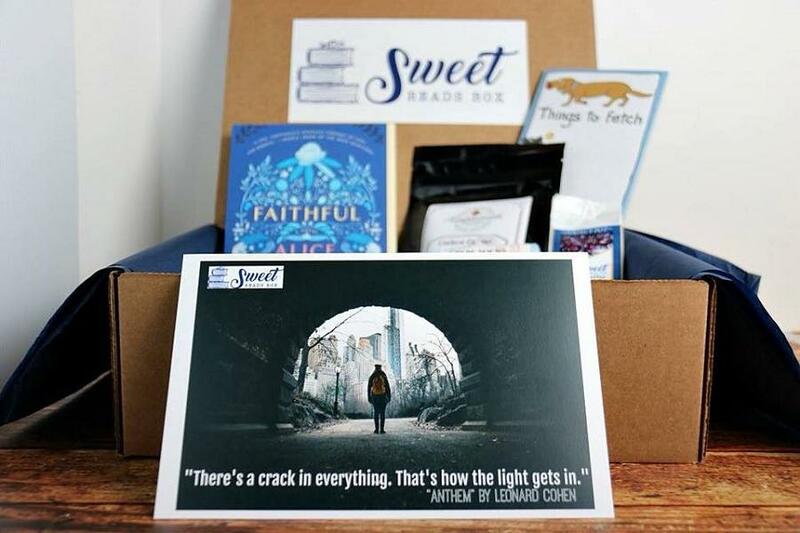 For more information about Sweet Reads Box, visit sweetreadsbox.com. 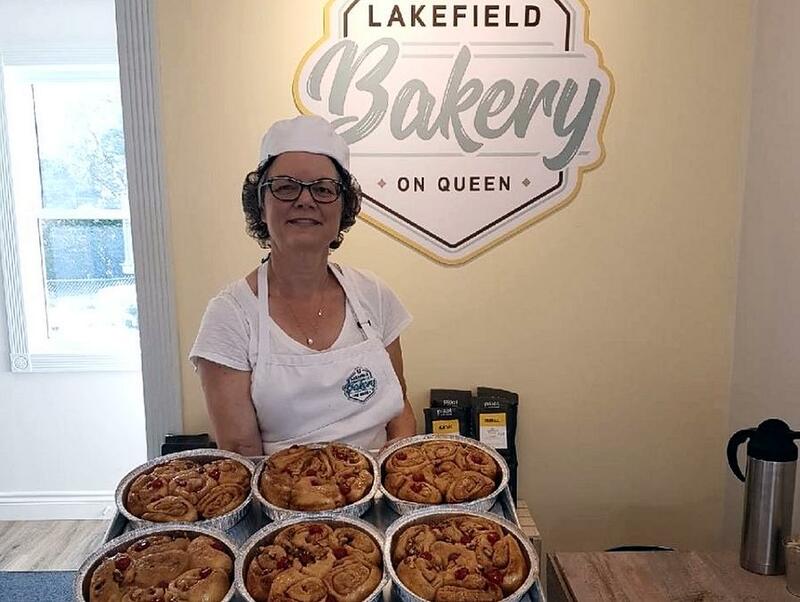 Lakefield Bakery On Queen officially opened last Friday (July 27). Located at 127 Queen Street in Lakefield, across from Tim Hortons, the new bakery features special cultural sweets and savouries along with many bakery classics. Lakefield Bakery On Queen is open from 7 a.m. to 5 p.m. Mondays to Fridays, 8 a.m. to 4 p.m. on Saturdays, and 9 a.m. to 3 p.m. on Sundays. 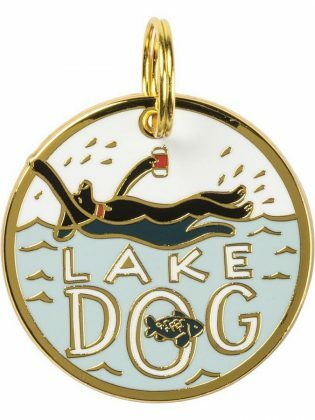 For more information, visit www.lakefieldbakery.com. You can also visit them on Facebook. George Anagnostou, former owner of The Original Greek in Peterborough, is now operating The Original FAT Greek strEATery, a food truck in Ennismore. 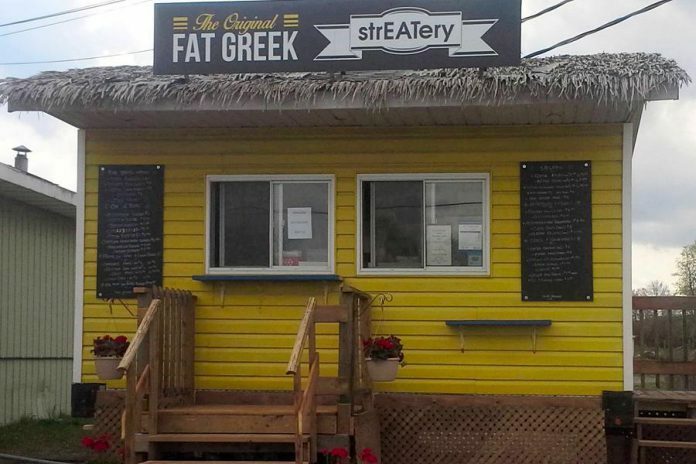 Located beside Foodland Ennismore at 470 Robinson Road, The Original FAT Greek strEATery is not your typical food truck. Along with standard fare like burgers, fries, poutine, and onion rings, Anagnostou adds a Greek twist with menu items such as a Greek burger (featuring bruschetta, feta, onions, olives, and tzatziki), pita bread wraps (including pork and chicken souvlaki and lamb and beer gyros), and Greek fries (topped with bruschetta, feta, and olives), along with salads, appetizers, and beverages. The Original FAT Greek strEATery is open daily from 11:30 a.m. to 7:30 p.m. For more information, visit www.facebook.com/ofgstreatery/. According to Food Allergy Canada, two out of 100 children in Canada have a peanut allergy in Canada. As the parent of a child with an anaphylactic allergy to peanuts, Peterborough resident Koel M. Upadhyay has experienced the helplessness, frustrations, and anxieties associated with raising a child with food allergies. 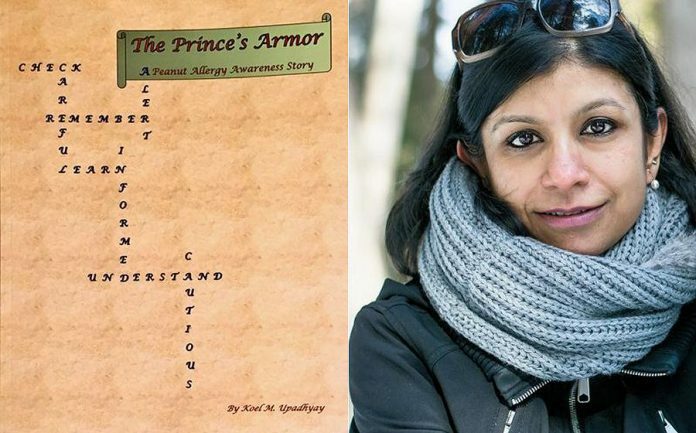 To help raise awareness of the problem, she has written and self-published a children’s book called The Prince’s Armor – A Peanut Allergy Awareness Story. Through the eyes of the character Little Prince, the book explains the meanings of confusing terms like “cross-contamination” and “accidental exposure”, evaluates real-life scenarios that children with a peanut allergy are likely to encounter, and brainstorms strategies that teach allergic children what they themselves can do to ensure their own safety. The book, the first of a trilogy that Upadhyay is writing, is available on amazon.ca. For more information, visit the author’s website at www.thebookpocket.com. Golfing Gals Who Give has donated $22,000 to The Canadian Canoe Museum to support the museum’s ongoing operations and its outreach initiatives. The proceeds were raised from a golf tournament that took place on June 14th at Wildfire Golf Club. The tournament, which saw 98 women participate and included live and silent auctions along with dinner, was supported by more than a dozen local businesses, including title sponsor McCloskey International. Last Wednesday (July 25), Navdeep Bains, the federal Minister of Innovation, Science, and Economic Development, joined Peterborough-Kawartha MP Maryam Monsef for a discussion at the Student Centre of Trent University. In his portfolio, Minister Bains is responsible for overseeing a broad cross section of government initiatives, including making strategic investments in Canada’s clean technology sector, targeting key growth sectors where Canada has the ability to attract investment or grow export-oriented companies, and fostering a strong investment environment for telecommunications services to keep Canada at the leading edge of the digital economy. 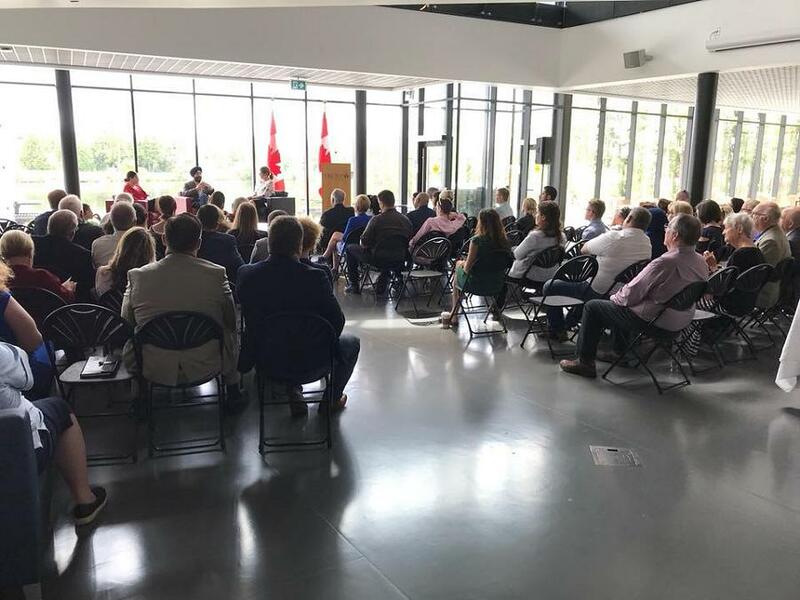 The discussion focused on economic development successes and challenges in Peterborough-Kawartha, and how local businesses and community leaders can build on the work of the federal government. Following the presentation, Minister Bains took a brief tour of Noblegen, a local advanced biomaterials company that has benefitted from federal investment. Last Friday (July 27) was the final day for candidates to declare their intention to run in the 2018 municipal election on October 22nd. Over the next few months, the Peterborough Chamber of Commerce will be speaking with local candidates, and is asking local businesses to share their top two business issues. A survey is available online. The survey closes on Friday, August 3rd. 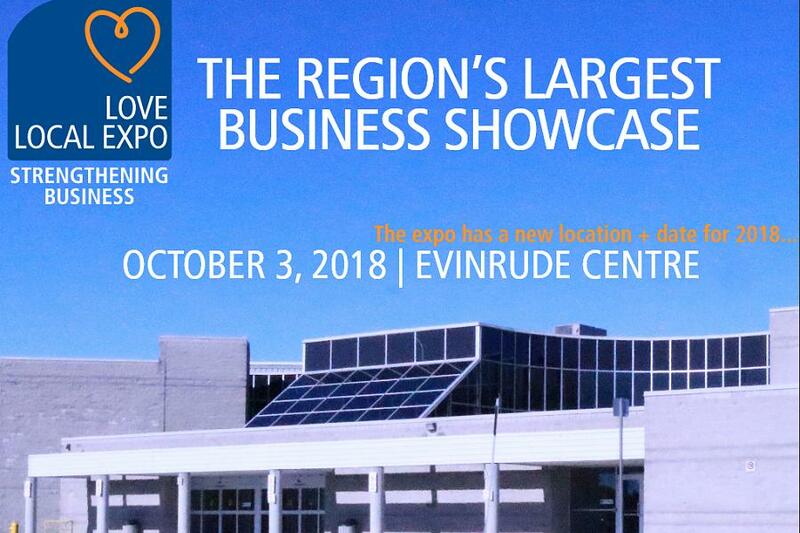 Chamber staff Tiffany Arcari and Siam Grobler willhost an open discussion on how to exceed as a trade show exhibitor. During the “Bridgenorth Hop”, the Chamber will visit members in Bridenorth, including Style Boutique and TCB Office Furniture & Supplies.